Careful! 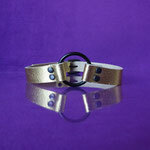 These cuffs might induce some involuntary ice cream reflexes! They are so colourful and shiny, you just might get the urge to lick them. 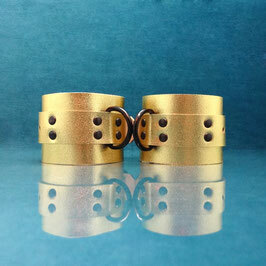 That's why we called this collection of handmade cuffs, Candy Cuffs. They are simple but real eyecatchers, with their snugly fit and expressive colours. 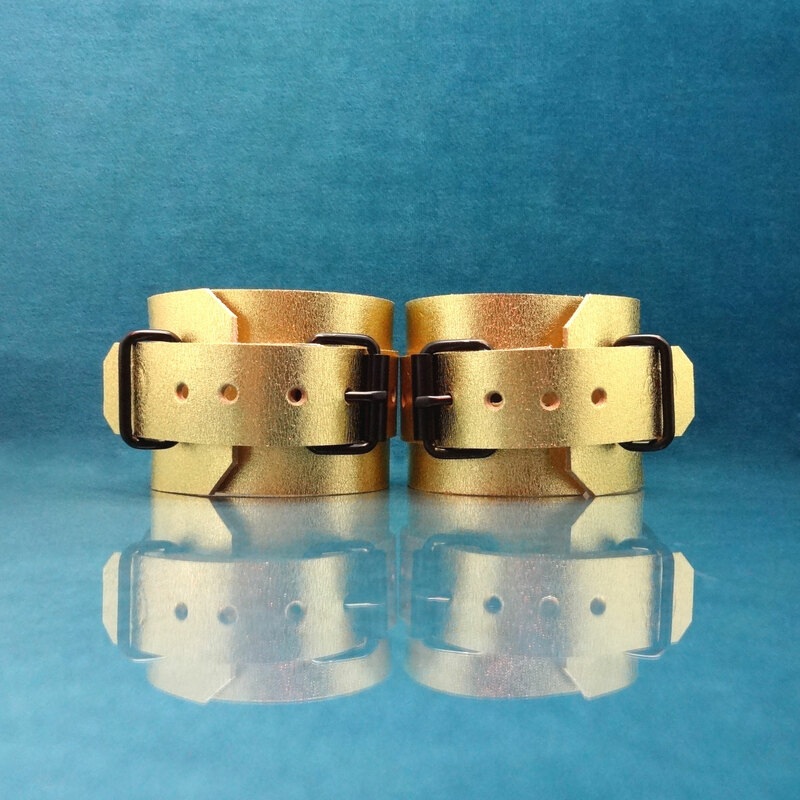 These pretty cuffs are made of gold patent (genuine) leather! 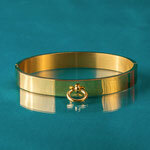 Wrist cuffs: 14 - 19 cm / 5.5 - 7.5 inch. 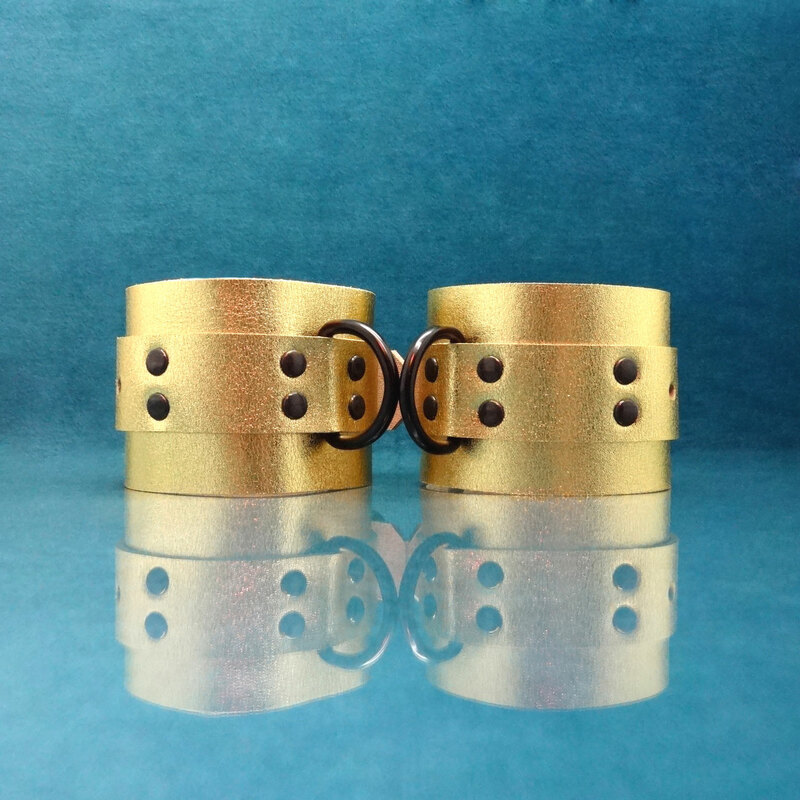 Ankle cuffs: 19 - 25 cm / 7.5 - 10 inch. Please take notice that this gold leather is very pretty, but more about the look than for rough play, as the shiny gold layer on the top is a bit more vulnerable than normal leather. Therefore, we priced the item accordingly. 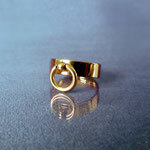 Just be a little careful with fastening the cuffs, then you can enjoy them endlessly.